Grandma and grandpa can be hard to buy for but this gift is perfect. Do you have trouble coming up with a gift idea for grandma and grandpa? I have a perfect gift idea for you and it is a gift that will bring a smile to them year round. 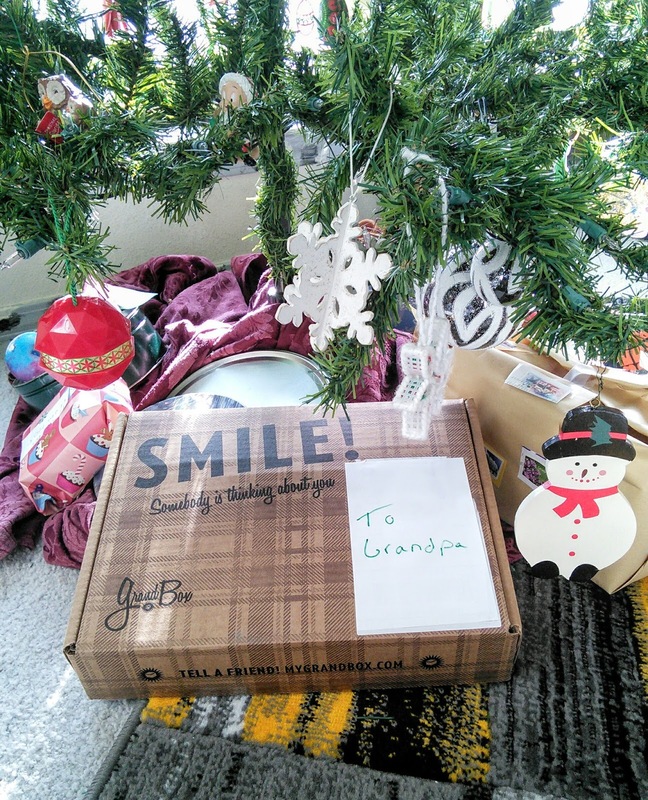 GrandBox is a delightful box of goodies that grandparents would love to receive. 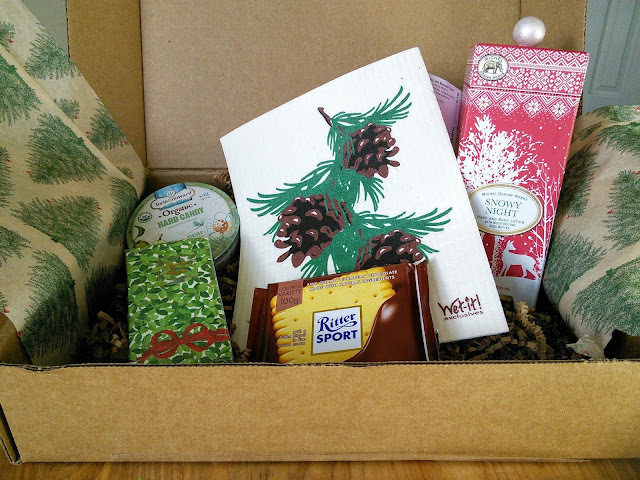 Every month your grandparents will receive a box of goodies that they can use. The GrandBox can also be personalized with a letter and photos of your family. Grandma and grandpa will be delighted when they receive a box of goodies, photos of the grandkids and a letter that your family wrote. I know when I send my mom photos she always passes them around at the senior center for all to see. So this month, I decided to get my father-in-law a holiday box from GrandBox. The gift is waiting under the tree for him and I know he will love opening it on Christmas day. GrandBox is the gift that keeps giving throughout the year. That means I can choose to give grandpa a gift one time or up to once a month. 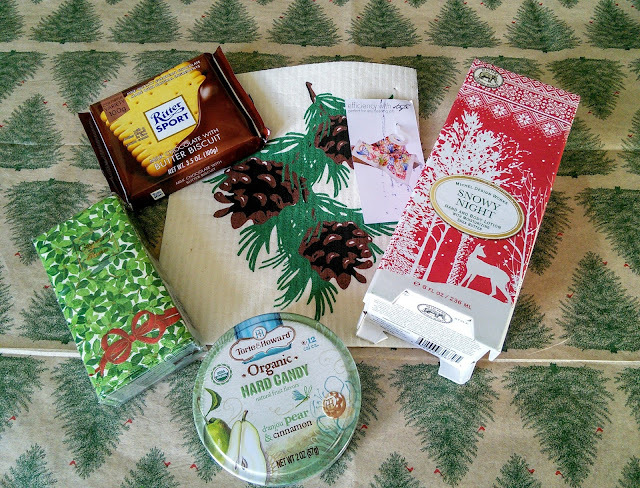 This month grandpa will get some chocolate, hard candy lotion, tissues, and a cool picture that turns into a towel. Grandpa's next box will contain similar items along with photos that I will take of the grandkids along with a letter. This box is a great way to show him that we care. Everyone loves receiving packages so I know that this box will brighten his day. The GrandBox is great to send to grandma, grandpa, mom, dad, or any older person in your life. GrandBox perfect Holiday Gift for your loved ones! Save on your first purchase! Check it out!